Gaile Anita Fitzgerald, 67, of West Seattle, WA, passed away on Tuesday, April 3, 2018, after a prolonged illness. Born in Sacramento, CA, she was the daughter of Charlie (Mert) and Thelma Fitzgerald, both deceased. Her middle name, Anita, came from the Santa Anita racetrack. Gaile will be lovingly remembered by her 30-year partner in life, travel, and business, Johnine Larsen. In her early years, Gaile worked at racetracks across the country. Gaile passionately co-owned and managed the horse racing syndicate, Sisters in Racing, and she was a talented pro handicapper. She thrived in the equestrian world, working every season for the Saratoga Special Stakes. Her own beloved horse, Romp, competed in the Breeder’s Cup two years in a row. 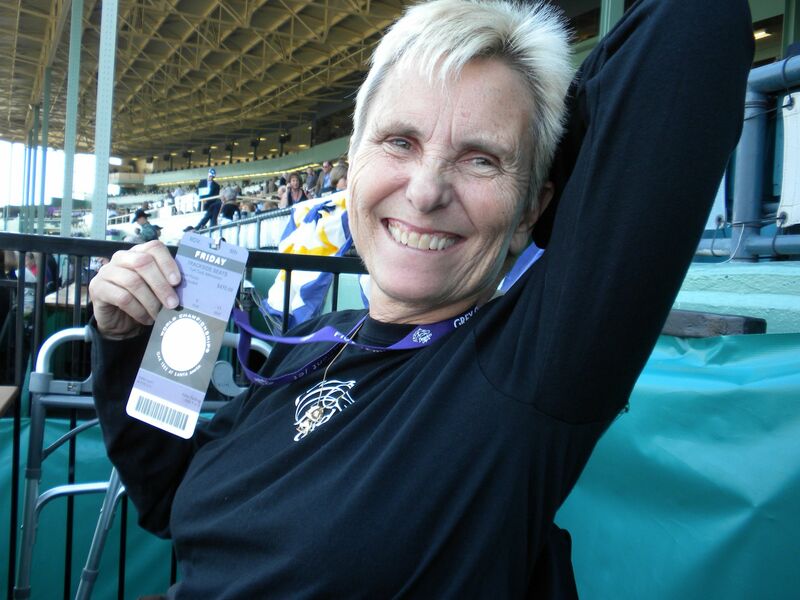 Gaile also participated in a large and loving tennis community as captain of her USTA team. Gaile inspired fun in all the communities she belonged to, from her early years in California, up the West Coast to Washington, and across the country to Florida and New York. Very outgoing, Gaile loved people, and her smile had a way of making you feel like a million bucks. She also loved a good mystery, filled her home with art produced by cherished friends, and was a generous animal rights activist. Ruby, her dog, lived a well-loved life. Her heart fought a tenacious battle for life. We will hold a celebration of Gaile’s life on April 22, from 1 p.m. to 6 p.m; please contact Johnine Larsen for details. Those who desire may make a memorial donation on Gaile’s behalf to New Vocations Racehorse Adoption Program.